My pregnancy seems so far away, a lot longer than just 5 weeks ago… And although I overall really enjoyed being pregnant, the last month before labour was incredibly hard on my body. So in the time after the birth, I was more than ready to start getting my skin and body back on track. And granted there has been very little time or energy for any pampering on my behalf – it’s been a great way to distinguish some real key beauty and wellness essentials that work in my new ‘mummy schedule’, when time is of an essence and I need products which really work, giving quick and instant results (don’t we all?). I was recommended to take Arnica just before labour, one tablet 1-2 times during the first and second stages of labour, then every four hours post birth, and then continue daily for as long as possible after. Arnica helps with pain during childbirth, general soreness, shock, swelling, reduces bruising and minimises strain on soft tissues, and I think it’s helped me a lot! There’s a lot of talk (and controversy) in regards to placenta encapsulation – and whilst I won’t go too deep into it – some benefits include restoration of iron levels in the blood, increase in milk production, increased energy, increased release of the hormone oxytocin (which helps the uterus return to normal size and encourages bonding with the infant), helps prevent post-natal depression, and so on. It was a personal choice, and something I was intrigued to try for myself – and I have had such a speedy recovery (considering I had a very heavy and long labour), and my energy levels have been surprisingly high. I got my placenta encapsulation here. I’ve been having 1 scoop of the Super Elixir‘s Nourishing Protein on a daily basis – which is a 100% vegan, plant-based protein, containing all nine essential amino acids (like those found in red meat, eggs, chicken and fish). Made from organic, sprouted brown rice, pea protein and Peruvian cacao – it has a really nice and sweet taste, which helps balance your blood sugar levels, boost metabolism, enhances brain and immune function, gives energy, repairs tissue and feeds your muscles – in other words; all very good things after going through a tough labour. 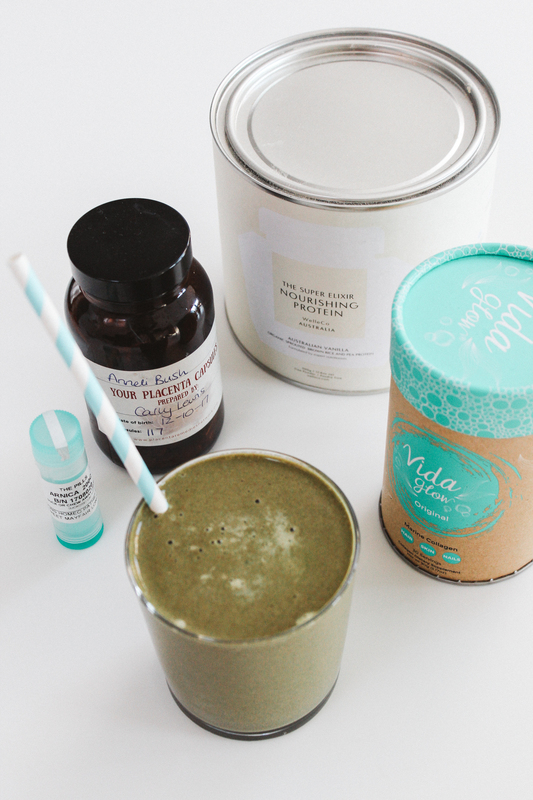 I also have one scoop of the Vida Glow Marine Collagen in my smoothies. With all natural and pure marine collagen, derived from the scales of ocean fish, with no wheat, gluten, sugar, additives, preservatives or flavours – it helps promote more youthful looking skin, reduces fine lines and wrinkles, thickens hair and nails, diminishes the appearance of cellulite, assists in muscle repair and recovery, and strengthens connective tissues. They say your hair especially dwindles post pregnancy and your glow disappears, and although I still look tired, my hair has never grown so much, been thicker and my skin is so clear and clean (and I have a feeling it has a lot to do with this collagen). 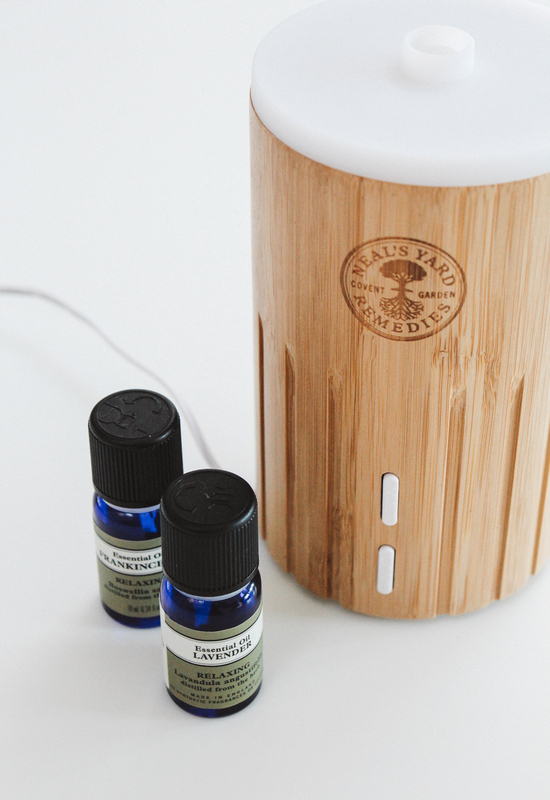 The best (and prettiest) aromatic diffuser, belongs to Neal’s Yard Remedies – with their sustainably sourced, bamboo Esta Aroma Diffuser. Not only does it look great – it’s easy to clean, easy to use and in my opinion, lasts for a long time. I got one for our bedroom in the lead up the the birth, using calming Lavender and Frankincense essentials oils. It has a soft nightlight function, which I also find really calming (and great for now I have Rio, as I don’t like it too dark in the bedroom when he’s in there). I still use both of these oils at bedtime, and during the day I bring it down to infuse refreshing Eucalyptus, Peppermint and balancing Jasmine. 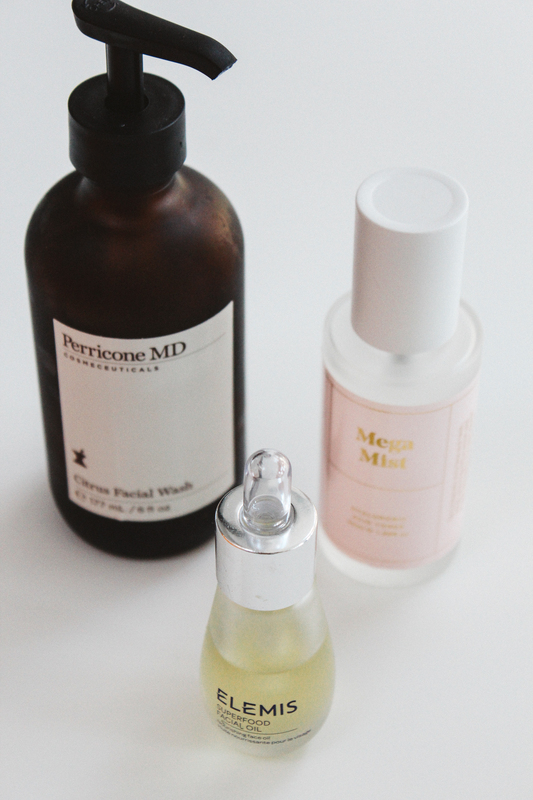 Perricone MD is one of my all-time favourite skincare brands – it just works. Their Citrus Facial Wash with Vitamin C is a new product I’ve started using, and I swear it’s the reason why my skin is feeling so hydrated and clear (which is the effect Perricone MD tends to have on my skin). It’s lightweight yet really helps clean and re-fresh, keeping it super hydrated, soft and balanced. ELEMIS oils and serums are always at the top of my beauty must-faves, and one of their bestsellers – the Superfood Facial Oil, is no exception. With a natural blend of highly concentrated plant-based superfoods, it helps to deeply nourish and hydrate. With anti-oxidants and omega-rich broccoli, flax seed and daikon radish, it feeds the skin for a healthy, radiant glow. The BYBI Mega Mist – a Hyaluronic Acid Toner, is not only 100% natural and vegan – it’s such an incredible boost of hydration for your skin, to help rejuvenate and refresh thirsty skin. 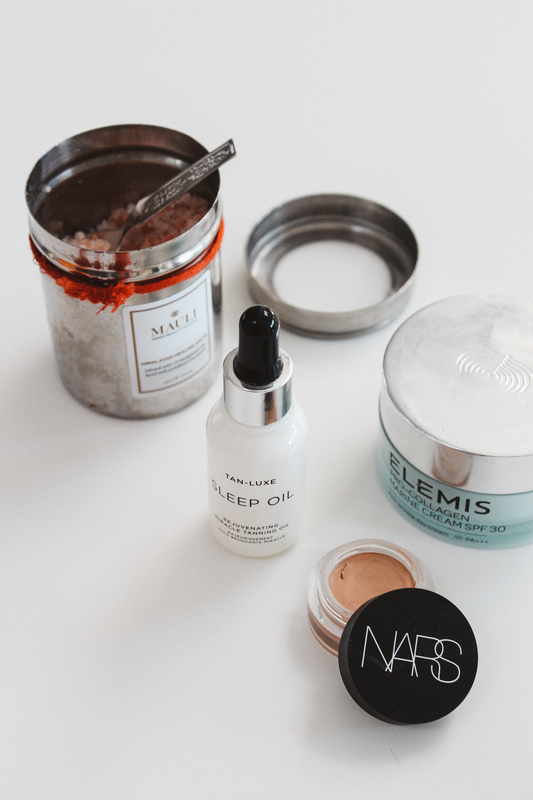 Not to mention the Hyaluronic Acid helps to plump and soften (yay!). 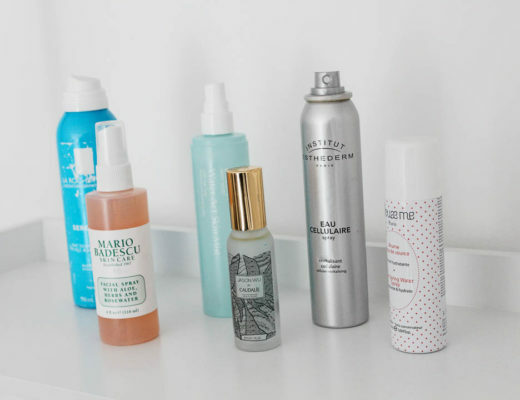 I have tried a lot of different dry shampoos throughout my time, and generally they don’t really work for my type of hair, always leaving it feeling quite heavy, tacky and greasy (the polar opposite of what you want a dry shampoo to do!). 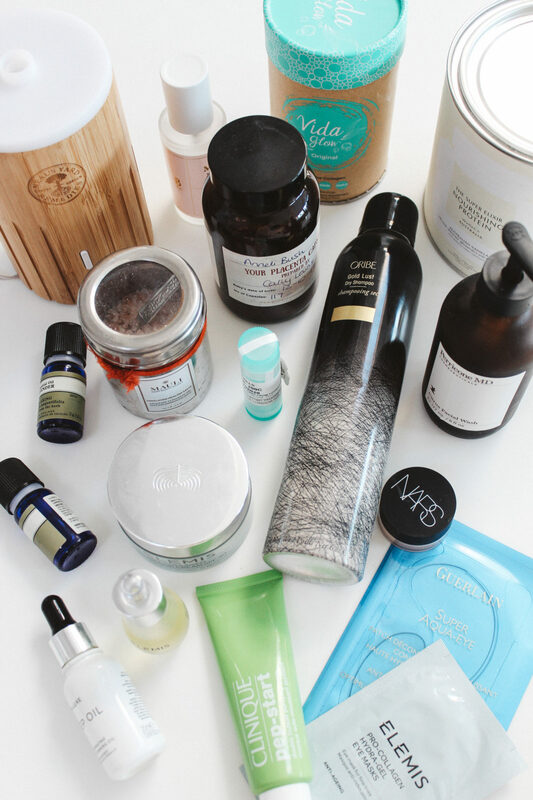 I was recommended the Oribe Gold Lust Dry Shampoo from a good friend, whom I trust explicity when it comes to hair recommendations – and I am obsessed. It’s lightweight, long-lasting and gives you that fresh and light feel – which is ideal at the moment, when I have limited time to wash my hair. Pricey, but worth every penny in my opinion. 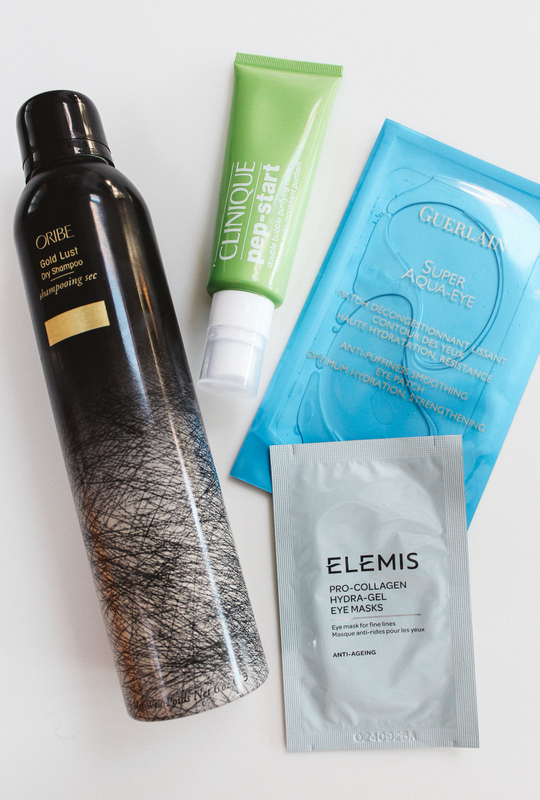 Another great time saving product, is Clinique’s Pep-Start Double Bubble Purifying Mask – a 2 minute mask which gives you that instant boost of hydration and purifying pep rush for your skin, leaving it feeling super fresh, cleansed and energised. During the weekend when Sam is home to look after Rio, I always make it a priority to take a long soak in the bath, and I am currently loving the Mauli Himalayan Healing Salts, a multi-layered blend combining therapeutic oils with Himalayan Pink Salts and finely milled Rose Quartz Crystals… Rich in trace minerals and nutrients, it helps balance your pH levels, eliminate toxins, soothe aching bones and restore balance to your body. I cannot live without Tan Luxe’s Sleep Oil – which is the best face self tanner I have ever come across. Not only does it add colour while you sleep, it’s also a super hydrating oil, enriched with raspberry seed oil, vitamin E and aloe vera, always giving it a gorgeous, stain-free and natural looking tan. I have been using this every other night in the past few weeks, which has helped get some glow back. The best concealer ever created (in my opinion), is the NARS Soft Matte Concealer. I cannot even begin to tell you what wonders this little small pot of concealer does to your face. It’s non-drying, oil-free, and super long-lasting, and with the matte finish, you will get such a gorgeous soft glow, without looking like you’re wearing hardly any make-up (oh, and it also contains collagen boosting properties, meaning that the more you wear it, the better your skin will look and feel). Last, but certainly not least, the bestselling ELEMIS Pro-Collagen Cream, filled with anti-ageing ingredients, to help reduce wrinkles, cell renewal, improve skin firmness, tone and hydration. And I promise you, it really does. The cream also contains anti-oxidant properties that provide an accelerated lifting effect through increased collagen support – and my skin has never looked this smooth and plump. Again, another beauty must-have which is worth every penny. Thanks for the tips. Re: hair loss, it usually starts to fall out around 3-4 months post pregnancy. Unfortunately… Enjoy the pregnancy hair while you have it! !